There has never been a better time to launch a cannabis hemp business, what with the industry seeing expeditious growth over the last few years. Hemp is usually cultivated in in the northern hemisphere. Closely related to the Cannabis sativa plant species, hemp was originally spun into fiber some 10,000 years ago, according to Hemp, Inc.
A fast-growing plant with an abundance of medical and industrial uses, hemp is rich in essential fatty acids, including linoleic acid (Omega-6) and alpha-linolenic acid (Omega-3). The crop is not to be confused with marijuana. It is non-psychoactive, so don’t expect to get high from hemp! What you can expect from this crop, however, is a sustainable renewable resource that is gaining global demand. ‘Ganjapreneurs’ are acknowledging this fact and jumping on the cannabis hemp business bandwagon, which has the potential to be incredibly lucrative in a flourishing market. Just one acre of hemp can be used to produce enough fiber to the amount of 2-3 acres of cotton. 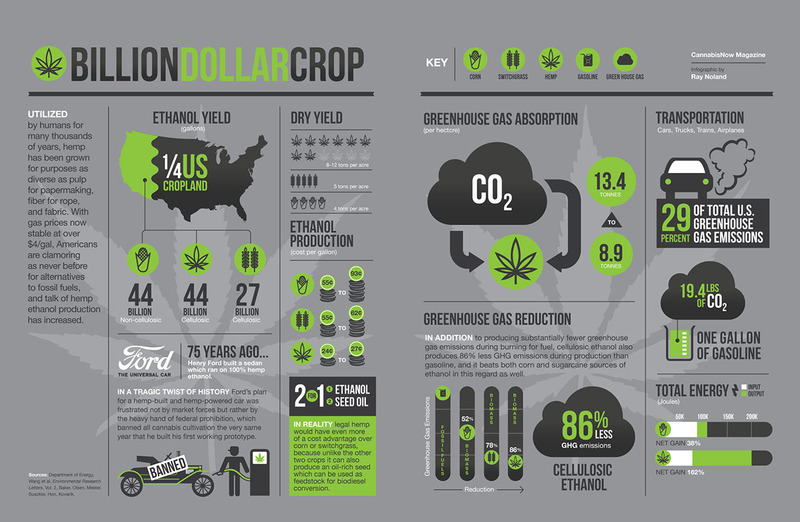 A single acre of hemp could also produce close to 1,000 gallons of methanol in one growing season. In fact, the crop is commonly used as an alternative clean burning fuel. Also used to create paper, hemp is strong, soft and long-lasting. What’s more, the sustainable renewable resource is not susceptible to mold and mildew, nor does it necessitate any pesticides or herbicides quite like cotton does. Perhaps one of the most environmentally friendly and beneficial crops of them all, hemp requires minor amounts of fertilizer to grow in abundance. Even if it is burned as a fuel, hemp will not negatively impact the environment. Well, when it is burned as a fuel it emits the same type of carbon dioxide (CO2) that the environment takes in. This makes hemp an appealing choice for environmentally-conscious cannabis hemp business owners. During the Colonial times through World War II, hemp was an essential crop. The hemp seed was brought to Colonial America by the Puritans. It was widely planted and used as a fiber for the creation of sails, lines and caulking work. In the year 1841, Congress passed a law that requested the Navy to acquire hemp from domestic farmers. A 1919 article in the Kentucky Agricultural Experiment Station Bulletin no. 22 claims that hemp made its way from Virginia to Kentucky just before the Revolutionary War. Dependence on hemp soared throughout America during the 19th and Early 20th Centuries. Increased levels of production commenced in states like California, Illinois and Nebraska. Things soon changed throughout the 20th Century, when the federal government and individual states started to criminalize cannabis in all forms. Possession or transportation of cannabis was made illegal across the United States under federal law as per the Marihuana Tax Act of 1937. However, the medical and industrial use of hemp was excluded from this law and an excise tax imposed on all hemp sales. The Modern Hemp Industry in the U.S.
Today’s hemp industry is thriving, thanks to lighter regulations at the state level and increased awareness of the plant’s benefits, many of which are medically-focused. Hemp and Cannabidiol (CBD) are tolerated a lot more now than they were in the past. Doctors, scientists and the general public are embracing cannabis research and hemp production, with hemp-derived CBD quickly becoming one of the most in-demand products. A 140 percent increase in the number of acres licensed for hemp cultivation in the top 10 hemp-growing states was noticeable between the years 2016 and 2017. During the same period, the number of hemp producers swelled to double the amount. Estimates from Cannabis research firm Brightfield Group reveal how the U.S. market for hemp-derived CBD crept up to $291 million in 2017. By 2021, researchers believe it will inflate to $1.65 billion. If you thought that was impressive, get this: in 2017 there were three times more hemp producers in Oregon, Tennessee, and Vermont than the previous year. Growth spread throughout other states, too, with Minnesota’s cannabis hemp business producers increasing by 533 percent, while New York experienced 425 percent growth and North Dakota welcomed a 600 percent hike in production levels. Hemp programs expanded in Colorado and Kentucky throughout 2017 – two of 10 top hemp-producing states. Today, these states account for 64 percent of the total acres registered for cannabis hemp business production. The average number of acres registered for hemp production in the U.S. in 2017 was 1,787. This is an increase of 377 percent from the 374 acres licensed for hemp cultivation in the previous year, non-inclusive of Colorado and Kentucky. Although uncertainty plagues the cannabis hemp business industry in regards to how things will look in the future, this is not stopping policymakers and entrepreneurs from getting a slice of the U.S. hemp market. Based on data gathered by hemp-advocacy group Vote Hemp, hemp crops throughout the U.S. have doubled this year. In a total of 18 states, Vote Hemp discovered that there were 23,346 acres of space being used for hemp cultivation in 2017. Compared to the 9,649 acres of space being used for hemp cultivation back in 2016, this recent figure verifies growth of more than double. A whopping 1,456 farmers have already been issued with state licenses to grow hemp in the U.S. this year. Furthermore, the number of universities conducting hemp research is on the incline, with the number rising from 30 in 2016 to 32 in 2018. State licenses to cultivate hemp have been issued to 1,456 farmers so far this year and 34 states include hemp laws on the books. Vote Hemp President Eric Steenstra used this report as a way of driving Congress to make hemp farming legal nationwide. It is important to remember the implications that the cannabis hemp business industry may have on other industries. Primarily, the pharmaceutical industry is going to take a big hit, and not in a good way. Opioid medications are being replaced with hemp-derived CBD oils, whether the oil is being used as a substitute by an epileptic child, an elderly person with Parkinson’s disease, or a cancer patient with chronic pain. In 2016 alone, almost 19,000 Americans lost their lives to opioids. As fewer people seek out over-the-counter medications from pharmacists and the like, the pharmaceutical industry may struggle to keep up with hemp businesses. Nevertheless, the negative impact that hemp production may have on the pharmaceutical industry is not really a big issue, considering the number of lives it could possibly save. The positive impacts of hemp production on other industries far outweighs the negatives. Way before hemp cultivation was prohibited, the plant was widely used in many other industries. Paper, textiles, canvas, rope, clothing, construction, biofuel, plastic composites – these are just a few examples of the things that hemp was (and still can be) used to create. With the rising number of hemp farms throughout the U.S., it is inevitable that the aforementioned industries will benefit in the long-term. Lower production costs and higher demand for hemp-based products will likely translate to wealth for workers in alternative industries. Complete hemp cultivation is still illegal at the federal level, but this is not stopping ‘cannapreneurs’ from launching their very own cannabis hemp business. The downside to this fairly fresh industry is that hemp producers cannot grow hemp in states that have not set up a hemp program. Many people are also questioning the legality of hemp-based extracts, such as hemp-derived CBD. Hemp farmers statewide are continuously trying to discover the best cultivation practices. However, the demand for products developed from US-grown hemp remains unclear. The good news is that even the most traditional farmers out there are getting involved in the cannabis hemp business industry. Since industrial hemp boasts a plethora of uses, is it any wonder why farmers are growing their own hemp as an advanced investing strategy against lower-valued yields, like alfalfa or cotton? Moreover, certain states have demonstrated enthusiasm to support the burgeoning hemp industry by accepting more cultivators into hemp programs and modifying acreage restrains across the board. Bethan is a full-time wanderluster, traveler, and digital nomad with 7 years of experience in the freelance writing world. She has mastered the art of beating jet lag and using hammocks as an office for content curation.